Unleash your sense of wonder among 160 acres of plants, animals and unique habitats from around the world, right here in Omaha, Nebraska. Omaha's Henry Doorly Zoo and Aquarium is looking to expand its concessions team with the opening of Glacier Bay Landing in April. Applicants must be at least 16 years of age and able to work a minimum of 24 hours per week, including weekends and holidays. 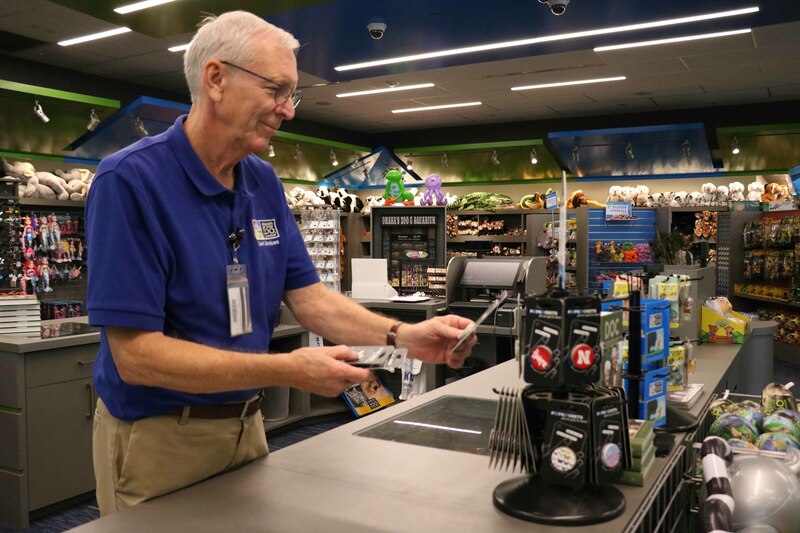 Become part of a fun, fast-paced environment and have access to the following benefits: free Zoo and Lozier Giant Screen Theater admission, employee discounts, free parking, behind-the-scenes previews of new exhibits and exposure to a variety of career paths. 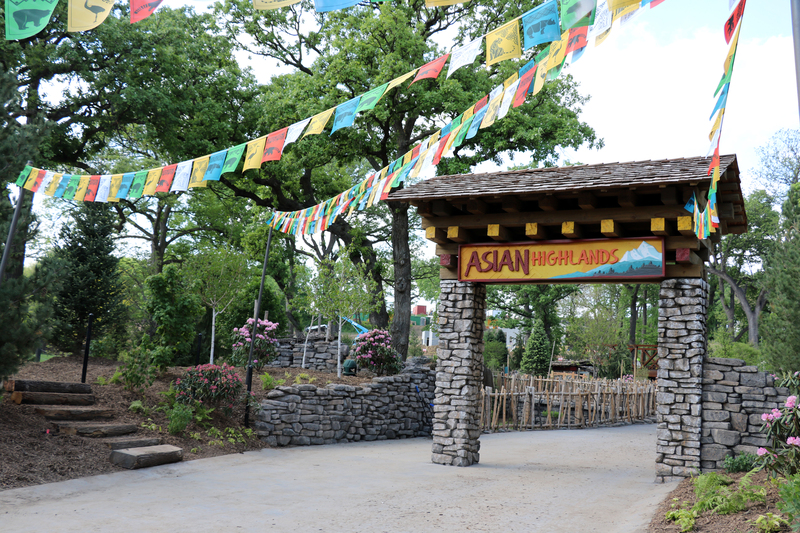 Asian Highlands will transport Zoo guests on an immersive journey through Asia, ranging from the grasslands of Northern India, though the Himalayan Mountains, to the boreal forests of northeastern China. This total immersion exhibit is set along the main path just north of the Aviary. In Phase I of this exhibit, guests will encounter a unique landscape and diverse collection of animals including red panda, white-naped crane, Indian rhino, tufted deer and Pere David’s deer. Phase II is set to open in Spring 2019. 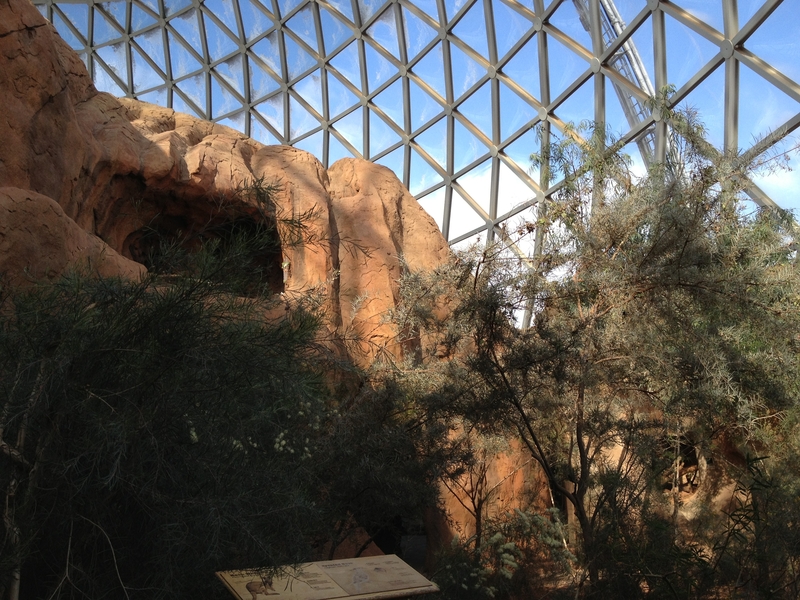 Immerse yourself in a desert environment at the Desert Dome, the world's largest indoor desert located under the world's largest glazed geodesic dome. See plant and animal life from three of the world's deserts: the Namib Desert of southern Africa, the Red Center of Australia and the Sonoran Desert of the southwest United States. Navigate the ocean floor as sharks and other marine life circle overhead in the Suzanne and Walter Scott Aquarium, the largest aquarium within a Zoo. Discover polar regions, temperate oceans, coral reefs and the Amazon, as well the wildlife that inhabit these areas, from Antarctic penguins, puffins, sea turtles, jellyfish, stingrays, Giant Pacific octopus, moray eels and colorful fish. Explore the natural rainforest environment as you walk through the Lied Jungle, North America's largest indoor rainforest. Cross a unique swing bridge, through wet caves and beyond swooping tree limbs to the sounds of crashing waterfalls, see gibbons and other primates swinging in the canopy and experience exotic plant life. 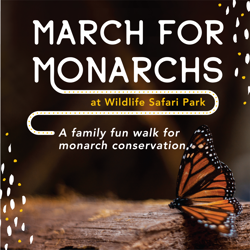 Travel through the 28-acre African Grasslands exhibit with the likes of elephant, white rhino, cheetah, sable antelope, bongo, ostrich and impala rising into view upon your every move. See eye-to-eye with reticulated giraffe from the all-new Giraffe Encounter. Feed and brush the African pygmy goats at the kraal. View the African lions from the peak of the exhibit, while they gaze into the distance over the entire exhibit. Also learn about the life of a wildlife manager at Wildlife Management HQ, where you can see the tools of the trade, communicate over radio and sit in a real grounded Bell 47 helicopter or Land Rover. 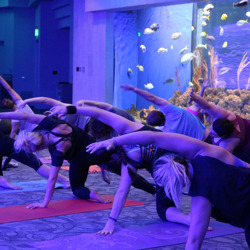 The Scott Aquarium will close at 5 p.m. on Monday, April 29 for a private event. The Zoo is a contender in USA TODAY 10Best Readers' Choice Travel Awards' "Best Zoo" and "Best Zoo Exhibit" (Lied Jungle) in the country categories. Now let's get voting! 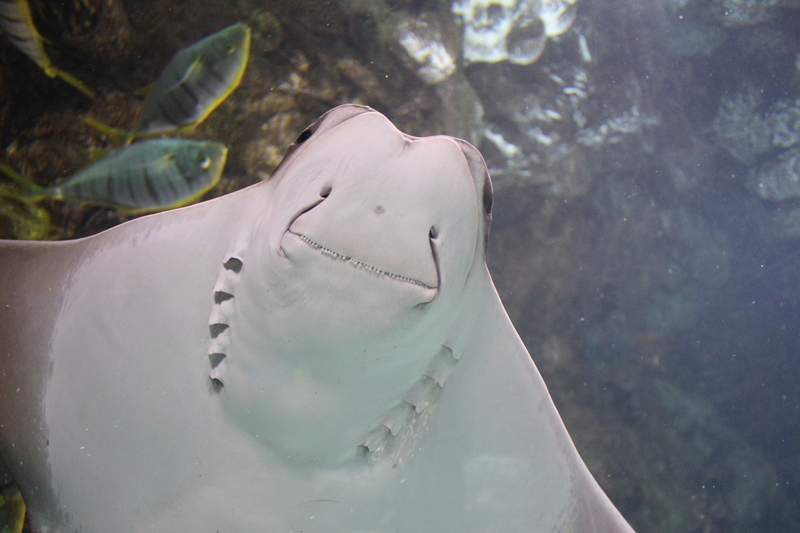 Each person can vote once per day per device for the run of the contest, which ends Monday, April 22 at 11 a.m.
Buildings will stay open until 6 p.m.
Don't miss out on the amazing perks of being an Omaha's Henry Doorly Zoo and Aquarium member. Once you join our family, receive free Zoo and Lozier Giant Screen Theater admission, access to our annual Member's Day event, discounts on Zoo events, educational programming, concessions, gifts and rides purchases, reciprocal privileges to more than 100 zoos nationwide and more! Get directions to Omaha's Henry Doorly Zoo and Aquarium typing in your address in the box below. Explore and experience other ways to do the Zoo! Hop on the train, tram or Skyfari to get to the places you want to go. 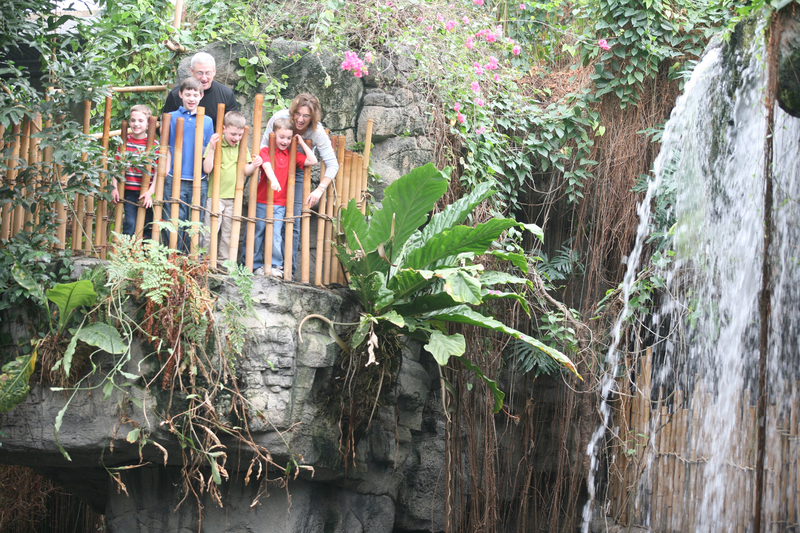 Let loose on Sue's Carousel, come face to face with giraffes or even hand to fin with stingrays. All attractions are seasonal. 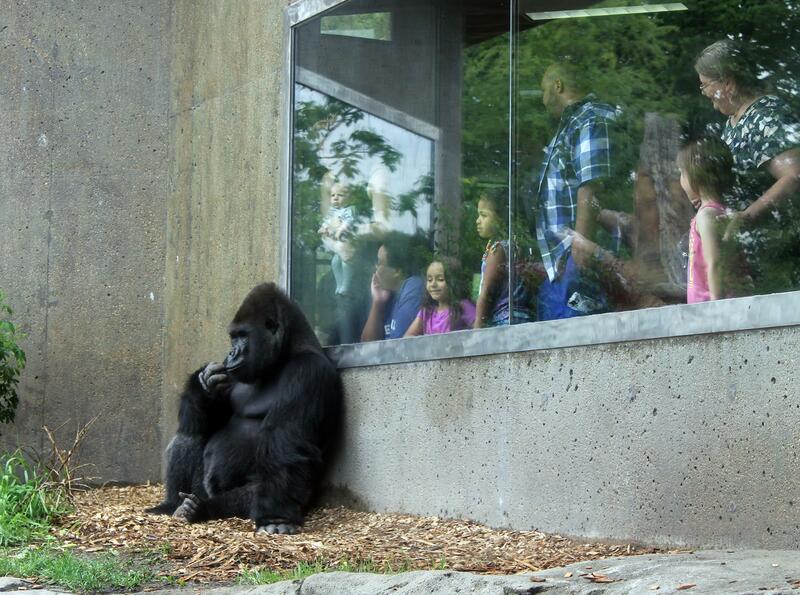 Through Tuesday, April 30, old mobile phones, iPads, iPods, cameras and chargers will be accepted at the Zoo and recycled for gorilla conservation. We and other zoos and aquariums across the country are joining forces with #WorldGorillaDay for Gorillas On the Line…Answer the Call, a cell phone recycling campaign. With your help, we will reduce the need for coltan, a rare mineral compound used in cell phones and other small electronics to increase their speed and battery life. About 80 percent of the world’s supply is found in the Democratic Republic of Congo, home of the critically endangered Eastern gorilla. Nationwide, we hope to collect at least 10,000 phones and electronics for recycling. 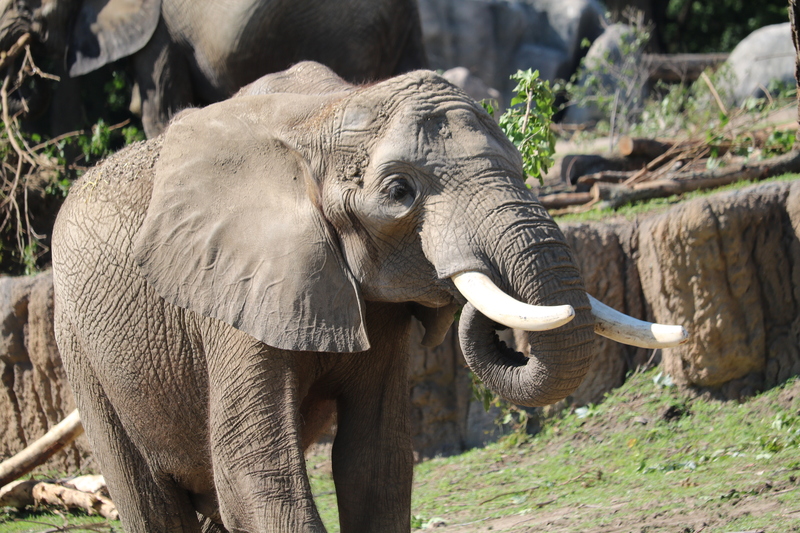 Visit Guest Services, located at the main entrance of the Zoo, to recycle yours. Omaha's Henry Doorly Zoo and Aquarium and 21 other aquariums from across the country, which form the Aquarium Conservation Partnership (ACP), have already eliminated five million straws (and counting) in a coordinated campaign to reduce sources of plastic pollution. Together, they are encouraging individuals, businesses and cities worldwide to cut back on single-use plastics, starting with plastic straws, by Earth Day 2019 in their latest movement, the #FirstStep campaign. The public can their first step by texting "TURTLE" to 49767 and dive into the seven-day plastic-free challenge, as well as visit pledge.ourhands.org to discover their impact. Omaha’s Henry Doorly Zoo and Aquarium and Zipline Brewing Company have partnered to bring you the Zoo Brew Series, four limited-edition beers with a focus on the conservation efforts of four different animal species: the red panda, African elephant, rockhopper penguin and snow leopard. Proceeds from the Zoo Brew Series will directly support conservation efforts around the globe. Red Panda Wheat, brewed with red wheat and bamboo shoots (a favorite food of red pandas) launched in July 2018. African Elephant XPA, an extra pale ale, is brewed and dry-hopped exclusively with Southern Star hops from South Africa. 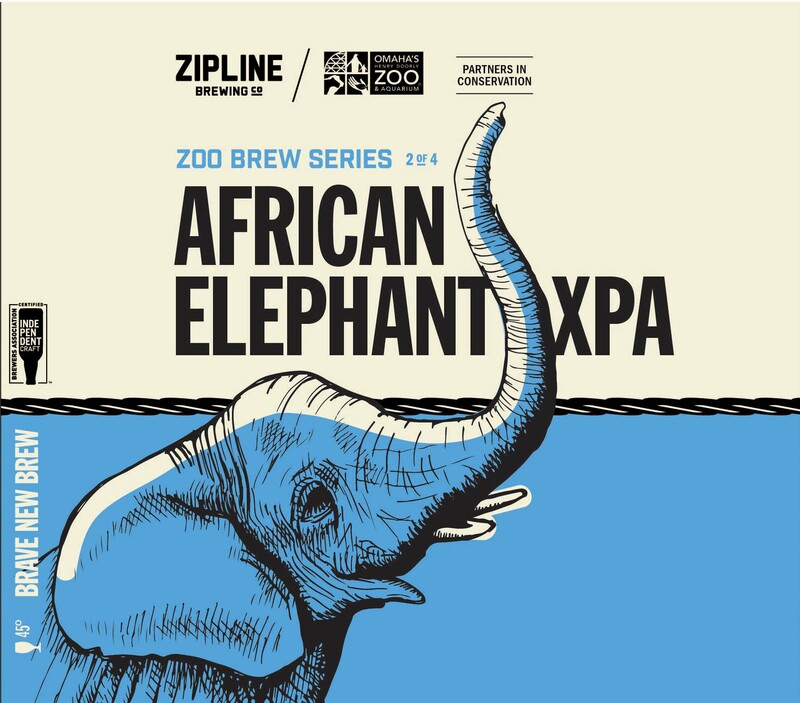 African Elephant XPA became available in September of 2018. The two remaining brews will arrive in 2019. 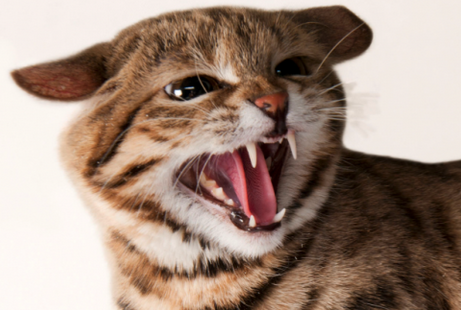 Dr. Jason Herrick, our director of reproductive sciences, spent time in South Africa with the Black-Footed Cat Working Group, a small international team of scientists dedicated to studying and conserving the black-footed cat, a little-known and feisty cat species. Herrick serves as the reproduction advisor for the Felid Taxon Advisory Group and the black-footed cat, sand cat, snow leopard and tiger Species Survival Plans. He and other biologists have been working together in the field through radio-collar studies and collecting sperm samples in the hopes of increasing the population of this vulnerable species. 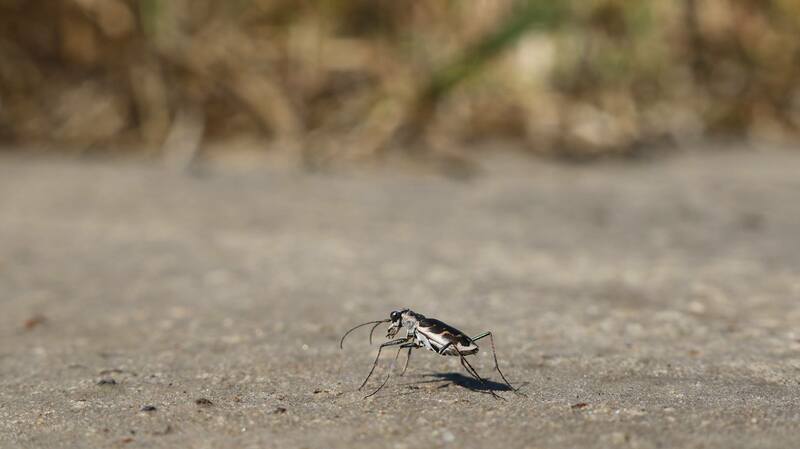 The Zoo's Salt Creek Tiger Beetle conservation program started off producing around 30 beetles per year. Today, that number has increased to more than 700. Since its inception, about 5,000 beetle larvae have been produced from the Berniece Grewcock Butterfly and Insect Pavilion, which has helped the adult population more than double since 2014 and remain stable at 370 individuals in the last two years. 2018 was another successful year for the program with 750 larvae produced from beetles that eclosed (emerged as an adult from a pupa) in the Zoo’s lab. These beetles will play a vital part in future releases and pairings. About 100 adult beetles were released into the saline wetlands with their wild counterparts in summer 2018. Wild tiger populations have been declining to dangerously low numbers due to extinction threats like human conflict and poaching for the illegal wildlife trade. To save this cherished animal, numerous efforts approach the problem from every angle, from protecting tigers in their natural habitat, to ensuring there is enough stored genetic material to protect the species. 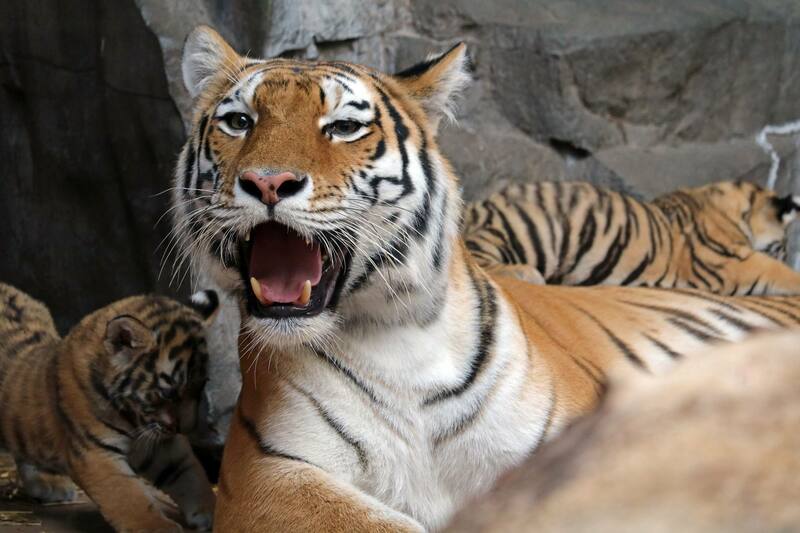 Contributing to the second part of the equation, the Zoo, in partnership with the Association of Zoo and Aquariums’ Tiger Species Survival Plan (SSP), has created a new Tiger Breeding Center in Omaha and has been selected to participate in the Tiger Genome Project. Make learning an adventure worth while. We have many "trailheads" to get you started, and there's something for everyone. Now choose a program and get out there and explore! For kids of all ages, the Zoo offers unique, hands-on opportunities to play, explore and learn about the natural world and the animal kingdom. Make your vacation a "stay-cation" with an overnight experience at the Zoo and us as your travel guide! Just tell us where we are going and who is coming with. The Zoo is hitting the road! 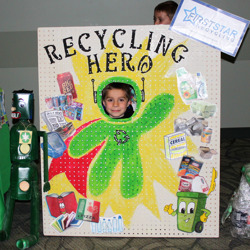 Let us bring fun, interactive and education programs to your group, large or small. Enhance your curriculum and inspire your students! 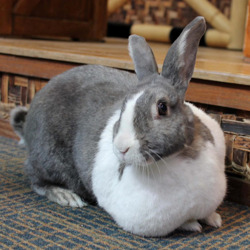 The Zoo has the resources with programs designed to meet state and national standards.